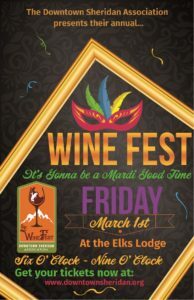 Our annual Wine Fest event is set for March 1, 2019! There are two ticket levels: the $75 VIP ticket includes earlier access at 5 p.m. with a more intimate experience. These tickets are limited to 100 individuals. In addition, each vendor table will have luxury-level wines available exclusively to the VIP ticket holders. The General Admission ticket of $60 includes admission from 6 p.m. – 9 p.m. For the month of December only, General Admission tickets will be $50; January tickets will be $55. 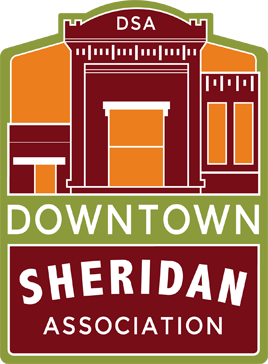 If you are interested in being a sponsor for the event, please contact the Downtown Sheridan Association.